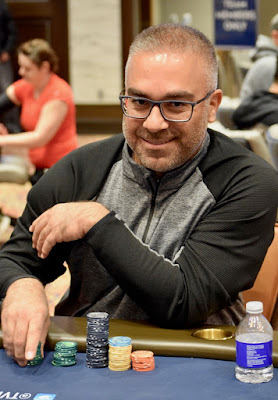 Defending Arizona State Champ Rellie Sigua picks up Pocket_Kings and gets all his chips in the middle, looking for a double-up in Level 2 @WPT Rolling Thunder Main Event. Mike Heshmati says not so fast, Heshmati has Pocket_Aces, moves all in and has Sigua covered. Aces hold and Sigua is out, Heshmati to 60,000.